EMT's are clinicians, trained to respond quickly to emergency situations regarding medical issues, traumatic injuries and accident scenes. An EMT's work could be at fire departments, providers of emergency medical services, or hospitals.EMTs and paramedics care for sick or injured patients in a pre-hospital setting like the back of a ambulance or where medical equipment could be found. EMT's usually work around 12 hour shifts or 50 hour work weeks and on holidays. UT Southwestern, North Central Texas College, Tarrant County College, UT Health- San Antonio are some of the many colleges that offer the EMT medical course. The course is usually about a 184 hour course and lasts about 1 year. At NCTC, the overall average cost for a texas resident, for a 5 hour credit couse, is about $1675. The gerneral use fee is $60, the Student service fee is $5, and the tuition is about $385, housing is about $250 a month and about $1,000 a semester, books and supplies are about $175. 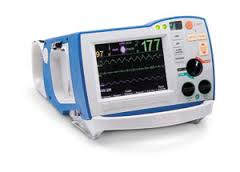 Emt's use much of the common medical supplies, they use things such as, portable defibrillators, portable suction, portable vital signs monitor, portable anesthesia machines, AED's, stethoscopes, immobilization braces, etc. 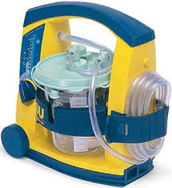 The need for EMT's is getting higher and higher.? The reason behind this growth might lie in the continued demand for emergency medical services by people involved in automobile accidents, natural disasters, violence and other unfortunate situations. 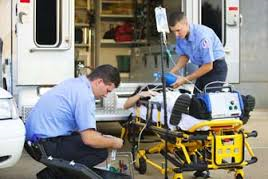 Another reason could be the growing middle-aged and elderly population, who may provide an increased demand for emergency medical services. Age-related emergencies like heart attacks, strokes, falls and fractures or other situations could rise as these individuals get older. 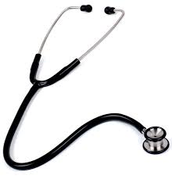 The healthcare field as a whole is recession-proof and many cities and have huge shortages of EMTs. Being an EMT means having a level of job security that most people in other fields don’t. The total number of Ambulance Services in the US is about 15,276, Ground Ambulance Vehicles 48,384, and the number of EMS personnel is about 840,669. 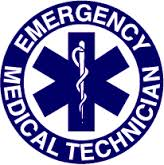 The National Association of Emergency Medical Technicians (NAEMT) is a national Emergency medical service representing all EMT's and Paramedics, it is dedicated to expanding EMT knowledge and education and enhancing professional development. The National Emergency Medical Services Association (NEMSA) is a registered labor union. The bulk of NEMSA's membership consists of EMT's, paramedics and critical care nurses. NEMSA also represents EMS dispatchers and call takers, vehicle service technicians and other EMS-related support staff. The American Ambulance Association serves as a voice for ambulance services across the nation. The association thinks that pre hospital care is an important part in the total public health care system. 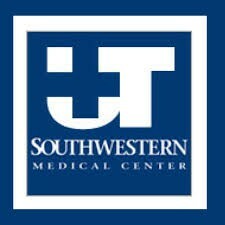 I chose to want to be and EMT when I get older because the emergency medical services seem really interesting to me. EMT's get to be the first on to help out in emergency situations and provide first responding care. EMT's are really important because without them a lot of people could die and it would be really cool to know that you helped that person live. Getting your EMT certification doesn't take as much schooling as other professions do. Also, when you have your EMT certification it also opens up a lot of other job opportunities in hospitals and fire departments as well. Being an EMT is an overall great profession because it could save somebodies life when they really need it.